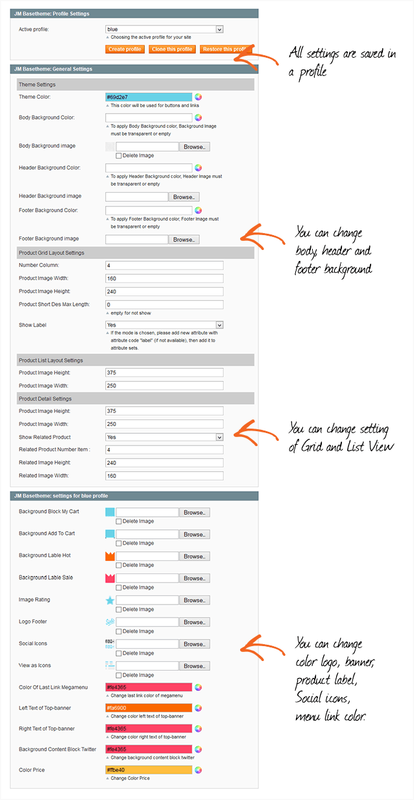 User can add more than 1 menu on the same page: vertical and horizontal menu. 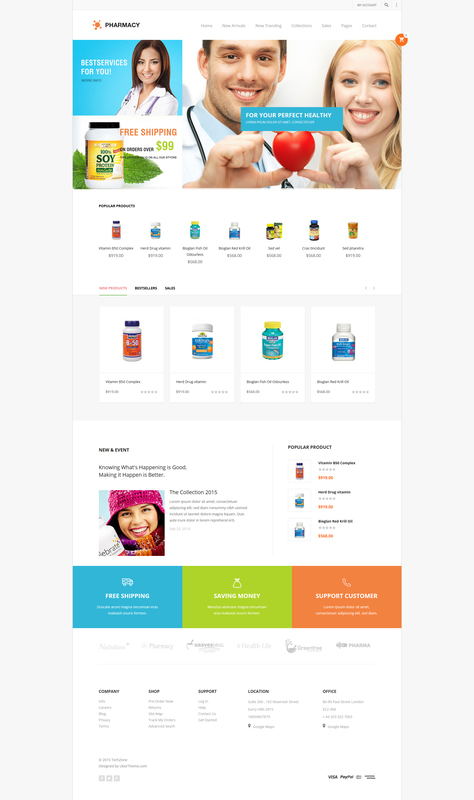 The layout of Techzone can be customized with 1 column or 2 column layouts. 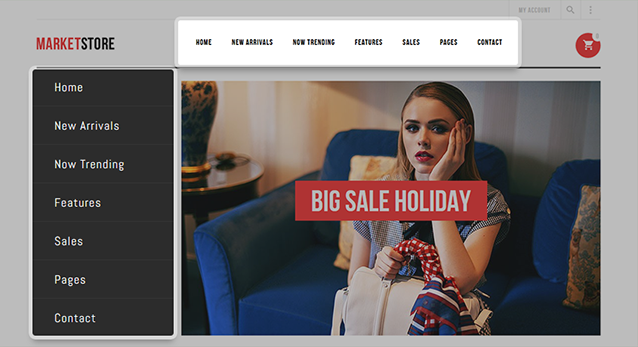 This leads to even more possibilities for developing a beautiful eCommerce store. 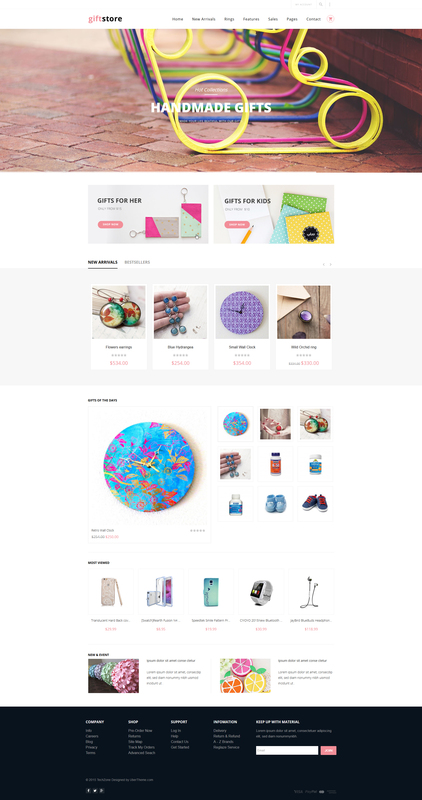 Online shoppers can adjust the display of category section to their desire, be it on the left, on the right or even hiding all the categories. 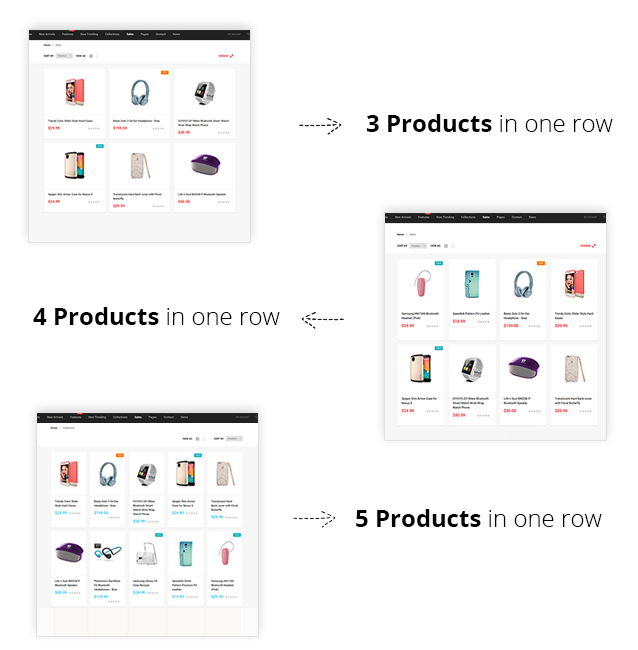 You can also customize the number of products on each row. 3, 4, or 5 products in one row, it’s OK.
Store managers can paint their store with whatever color they want. 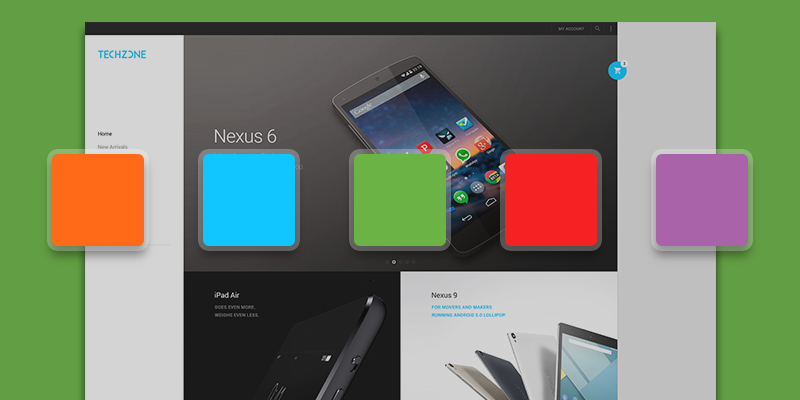 The color choice is unlimited, and they can specify it via base theme. 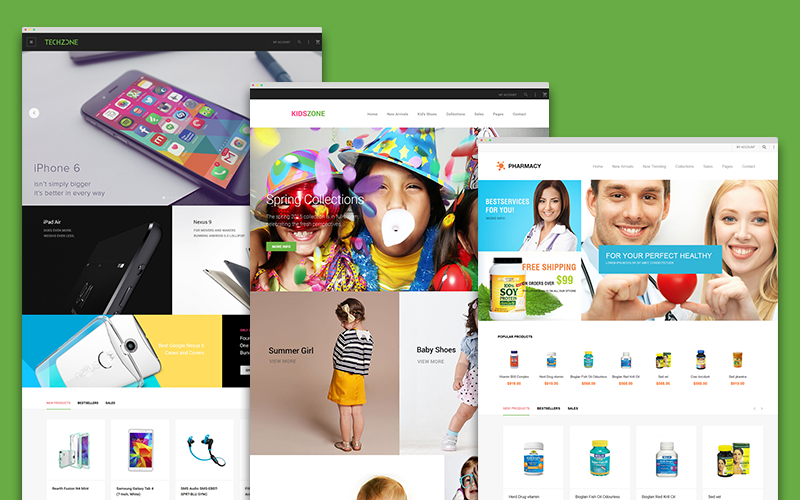 If you are still in search for more options, Magento extension BaseTheme can please you with countless colour scheme to personalize for background, header and footer. 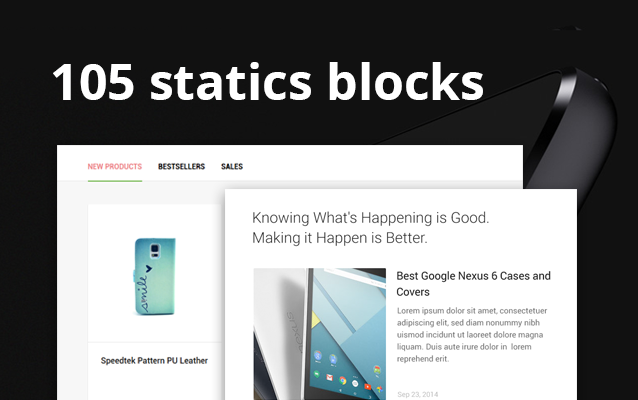 You can even customize the layouts for especially collapsed screen sizes, read more on Basetheme blog post. 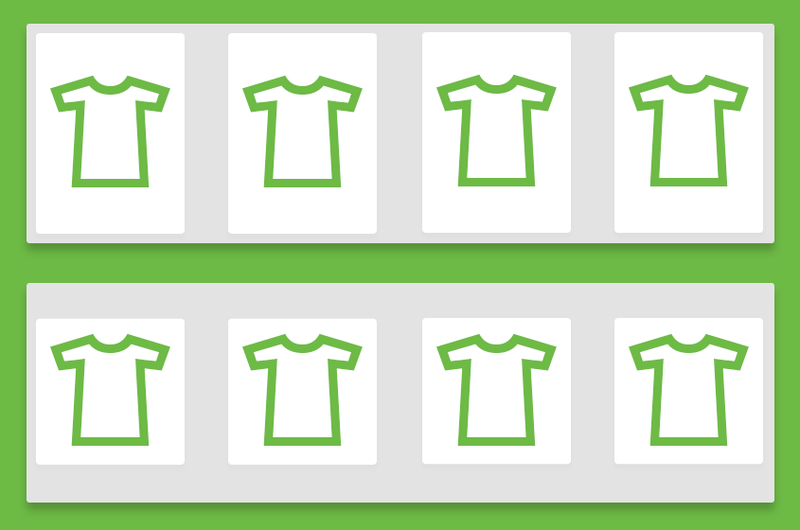 Do not waste your chance with overseas customers. 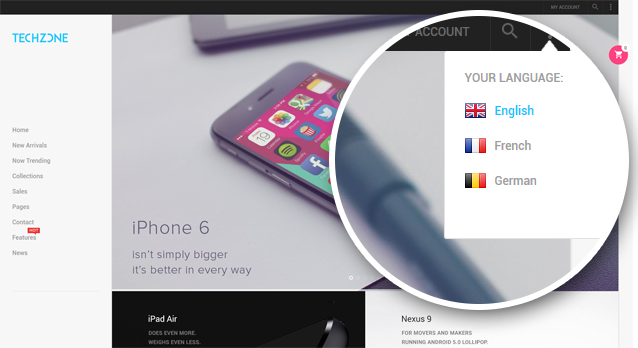 Techzone offers practical settings for multiple languages and currencies choices so that you can reach your customers in their own languages and currencies at ease. 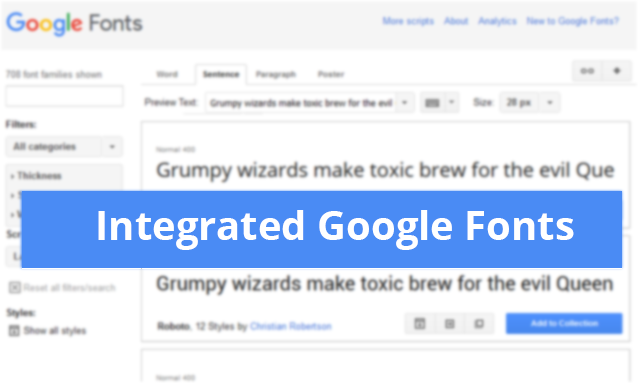 You don’t have to worry for the fonts error, because Techzone fully supports Google fonts. 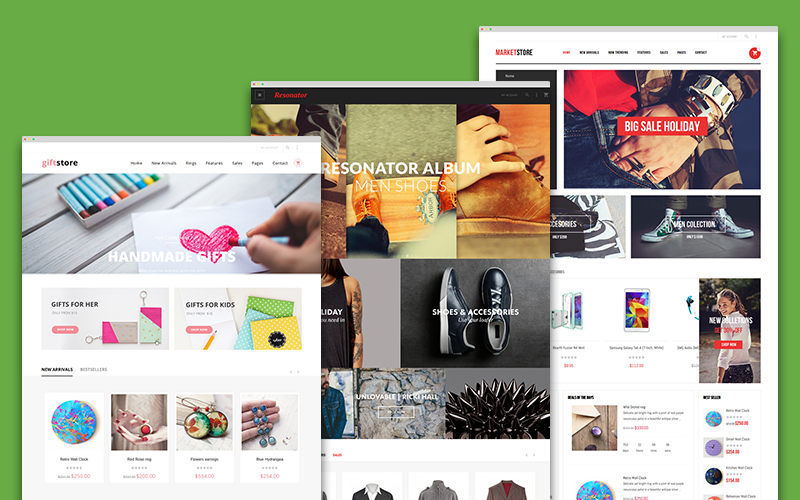 With many static blocks like: …, you can add more promotion, banners or other activities for your online shop. 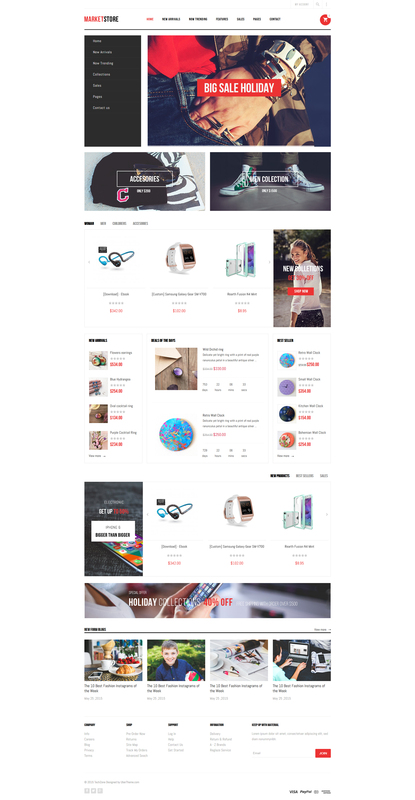 A part from the theme custom pages, Techzone also has custom layout for the default pages of Magento like contact, 404 page. 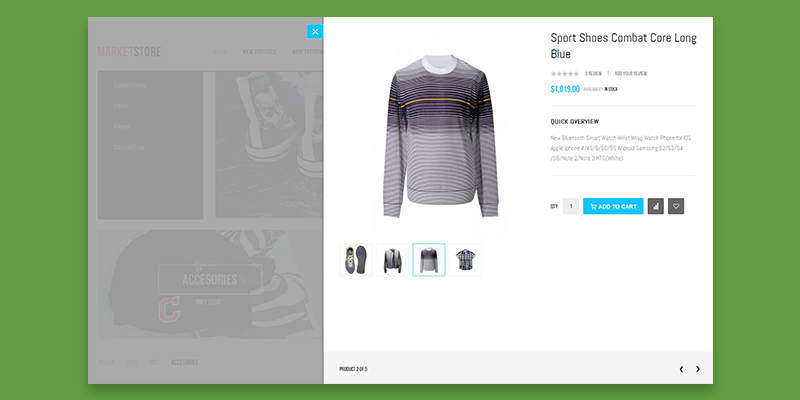 Techzone 2 is fully responsive layout, and ensures an uniform shopping experience across devices and screens. 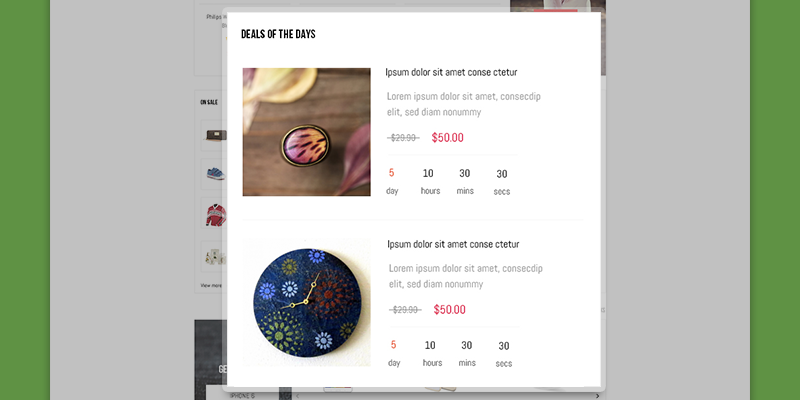 On this release, we integrate Daily Deal extension to help store owners effectively run the promotion campaigns. 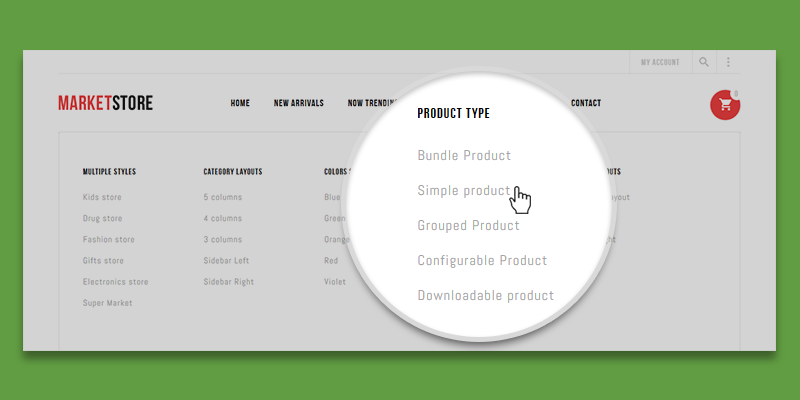 All five product types: Bundle, Simple, Group, Configurable and Downloadable Product will have supported theme. 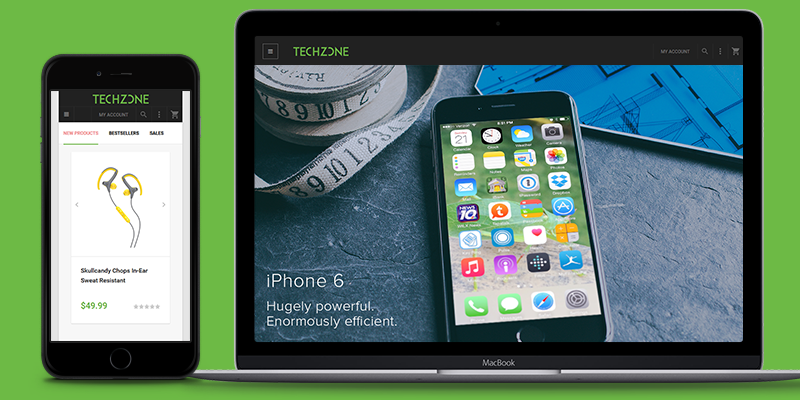 Product with square or rectangle image will be displayed nicely with Techzone. 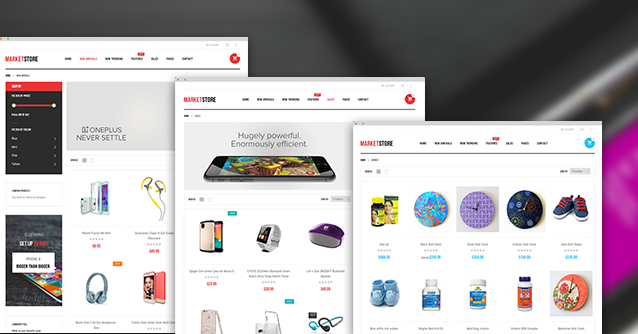 With responsive Magento theme Techzone, your shoppers can have a sweatless access to item details. 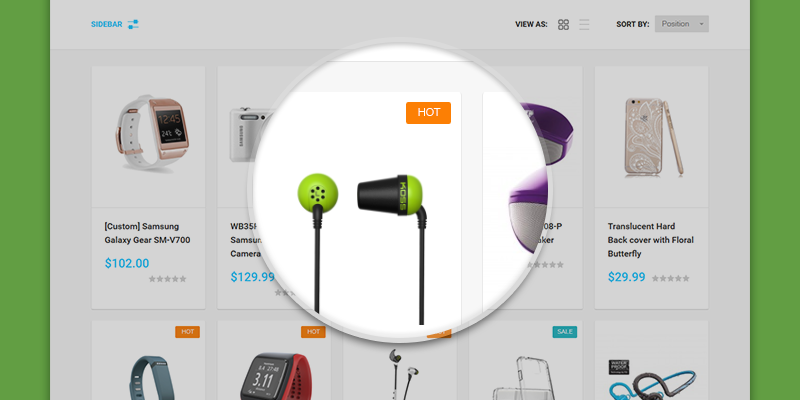 When someone clicks on Quickview, there will be a pop-up window with item details appear so that she/he does not have to load one more product page. 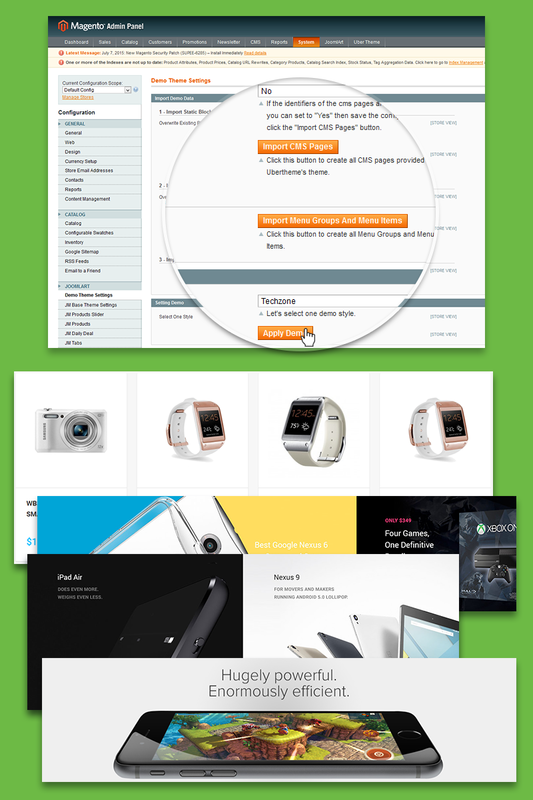 Import Demo sample data tool is released together with Techzone. 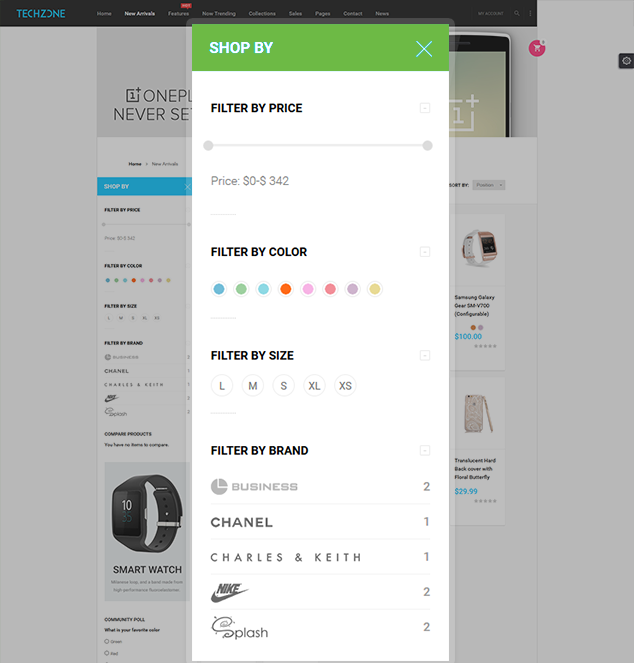 It helps user to import demo on their existing stores instead of manual setup. Your time will be saved for more useful tasks. 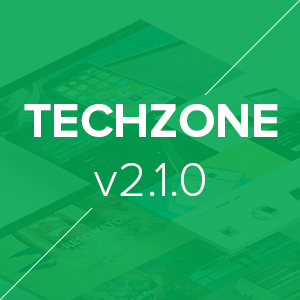 This extension will bee included for free in the next version release..
What do you think of our Techzone version 2? 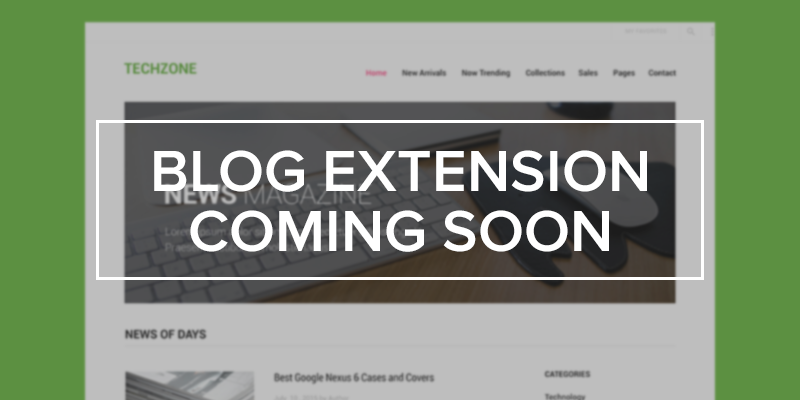 We’d love to hear your feedback and comments! 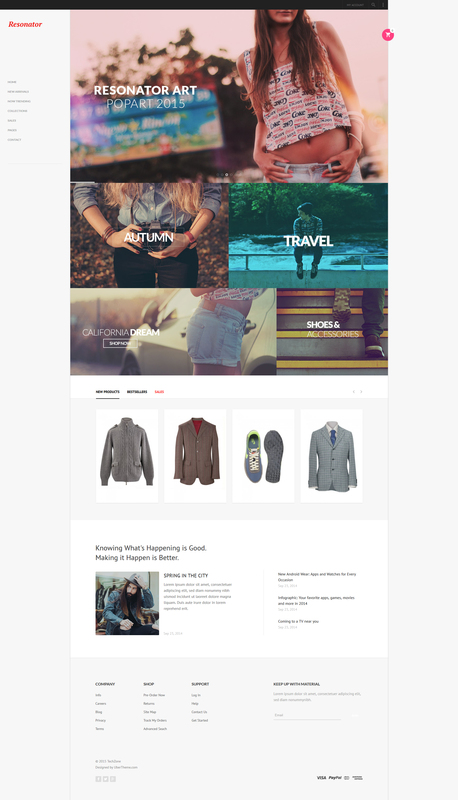 Hello Ubertheme-Team, great Theme but: CMS Pages dont work. Neither in your demo nor in my live page. They just don’t display their contents. Please have a look into your coding. Sorry about the delay message. 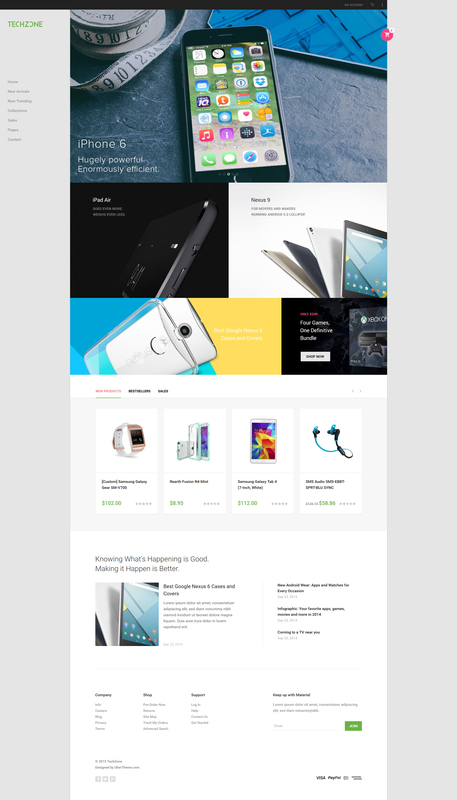 Very sorry about the demo page. Som time the system not working fine. Now it’s working fine. Please let me know if you need help anymore.